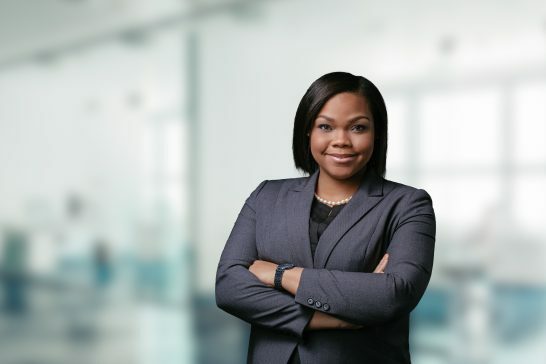 Theominique Nottage is an Associate in the Firm’s Litigation Practice Group. Theominique obtained a dual Bachelor of Arts with Integral Honours in International Studies and Spanish from Le Moyne College (Syracuse, New York) in 2009. During her undergraduate education, she also studied Spanish at Centro Panamericano de Idiomas (San Jose, Costa Rica) and the Universidad de Salamanca (Salamanca, Spain). In 2013 she obtained a Bachelor of Laws degree with Honours from the University of West Indies (Cave Hill, Barbados). Subsequently, she enrolled in the Council of Legal Education’s Eugene Dupuch Law School (Nassau, The Bahamas) and in 2015 received the Legal Education Certificate. In that same year, Theominique was competitively selected for the prestigious Chevening Scholarship by the Foreign and Commonwealth Office of the United Kingdom. In 2016 she earned a Masters of Law degree with Merit in Comparative and International Dispute Resolution from Queen Mary, University of London (London, United Kingdom). In the past, Theominique has been involved with the Environmental Law Clinic of the Eugene Dupuch Law School and the University of The Bahamas. In 2016 co-authored the Country Report for The Bahamas published in the IUCN Academy of Environmental Law E-Journal on legislative developments. Theominique was admitted to the Bahamas Bar in 2015. She completed pupillage with the Office of the Attorney General and the Ministry of Legal Affairs where she gained a wealth of experience across the gamut of the Legal Affairs Division, specifically civil litigation, civil chambers and legislative drafting. In 2017 Theominique was admitted as Member of the Chartered Institute of Arbitrators (MCIArb) and currently serves as Chair of Young Arbitrators (CIArb Bahamas). She also acts as the National Coordinator for the Caribbean Youth Environment Network (Bahamas Chapter) and is a member of the Arbitration Committee of The Bahamas Bar Association and Young ICCA, where she was selected to be a mentee in the 2017 – 2018 Mentoring Programme. Theominique joined Higgs and Johnson as an Associate in 2017.